Sit and ride or stand and cruise. 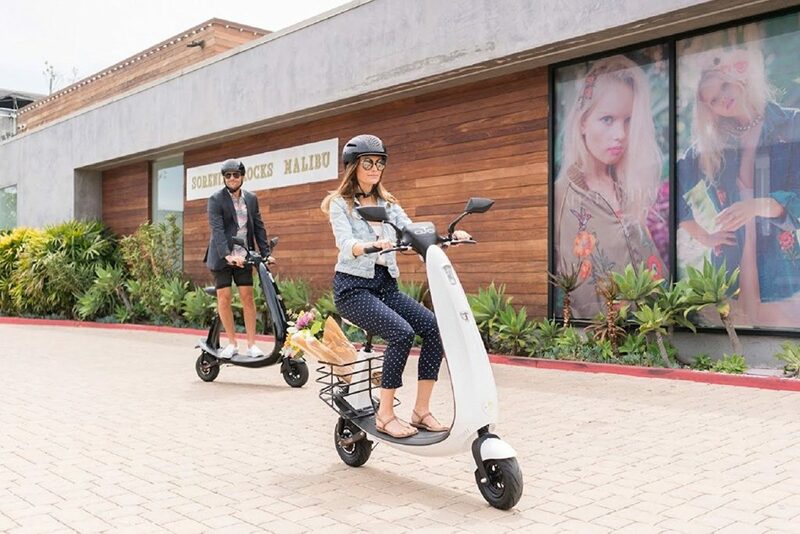 The OjO Commuter Electric Scooter is built for both the novice and experienced rider. The makers behind this model made sure that comfort, security and agility are maximized. 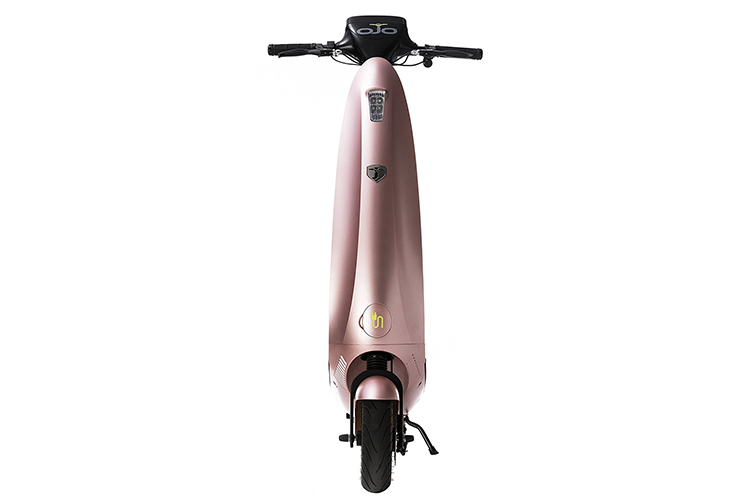 Expect all these thanks to its fully welded, lightweight aluminum frame, as well as its integrated ABS automotive grade plastic fairing. Ford Motor Company trade mark and trade dress used under license to OjO Electric, LLC. 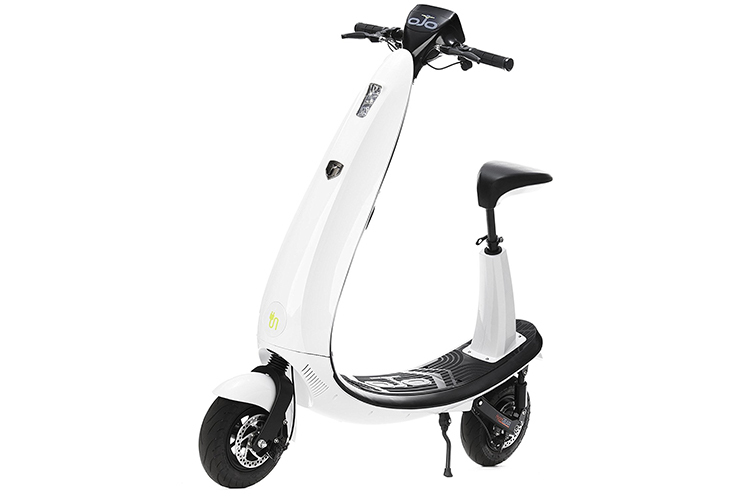 Weighing in at 65 lbs, the OjO Commuter Electric Scooter is powered by a 500W HyperGear hub motor. 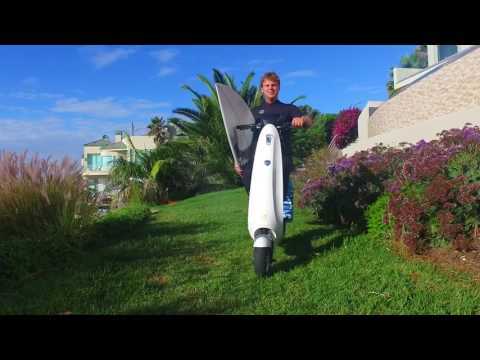 Ride at speeds of up to 20 mph and go as far as 25 miles on a single charge. 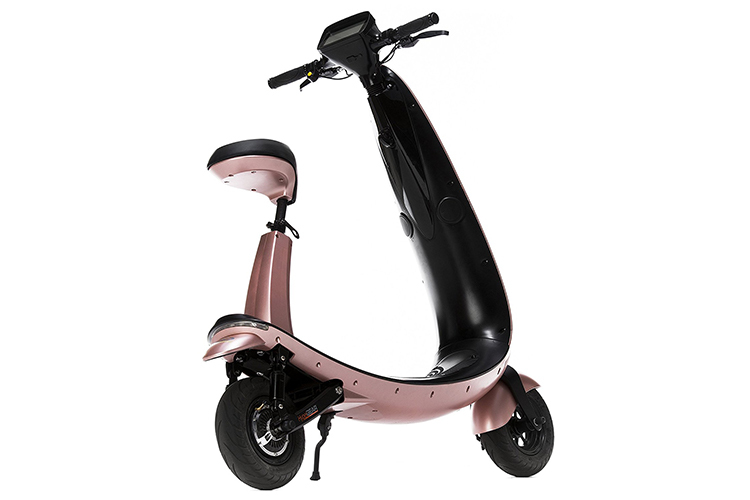 Its patented design includes an all-welded heavy gauge aluminum under chassis, wireless key Fob, a user-friendly thumb throttle and a motion-activated alarm. 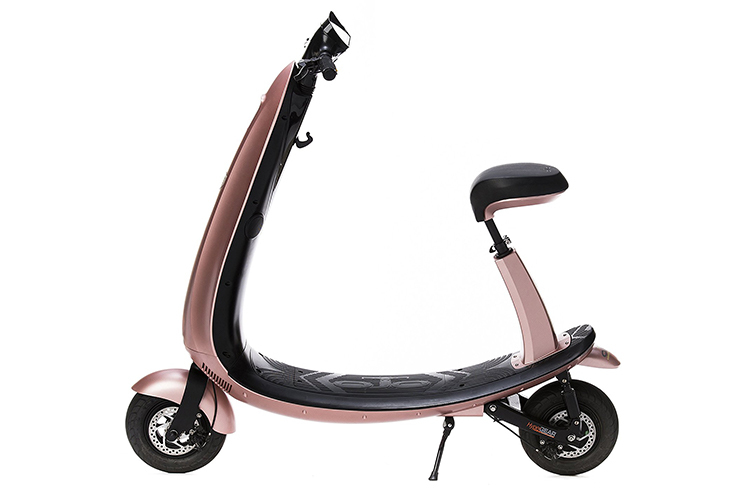 The removable seat system converts the scooter to a stand up type. 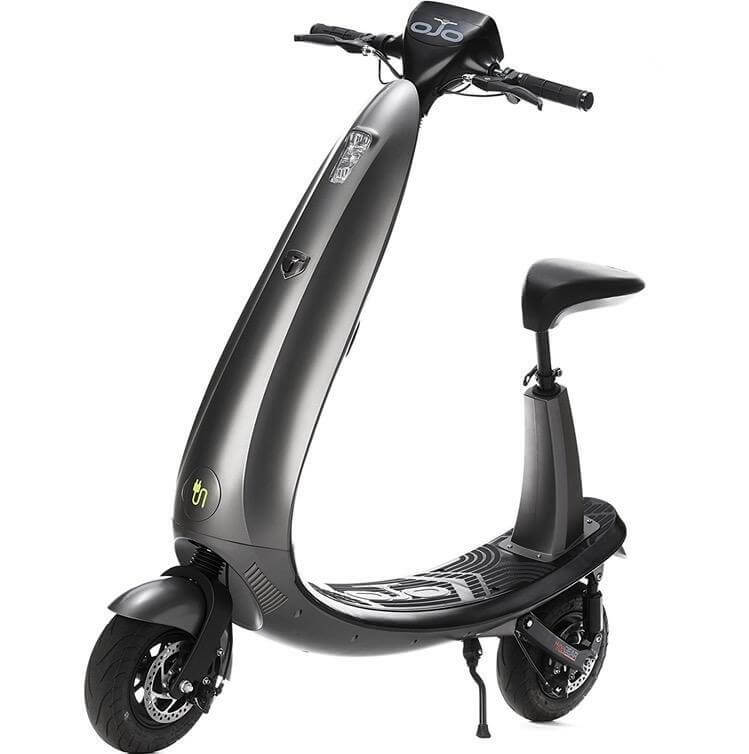 Other notable features include high performance front and rear disc brakes, state-of-the-art front and rear LED lights, full front & rear suspension and all-weather pneumatic tubeless tires. Comes with a port for charging small devices. Maximum load this model can transport is 300 lbs. 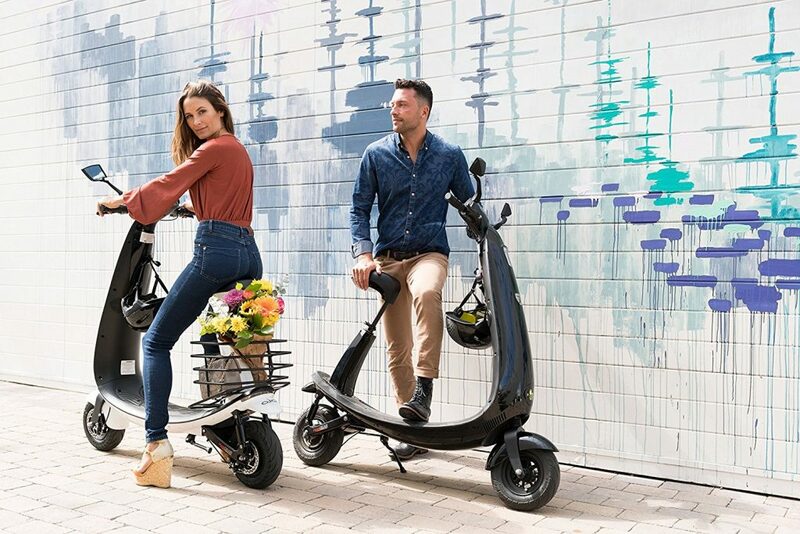 Riders love the OjO Commuter Electric Scooter for its well-thought out design. The digital LCD screen is non-glare. The Key fob comes with its own alarm and panic buttons. Its got high-fidelity, waterproof Bluetooth speakers and an innovative on-board charger with retractable cord. It’s the details that count, says one review. The OjO, of course, performs well in the speed and power department. Comfort is tops too. 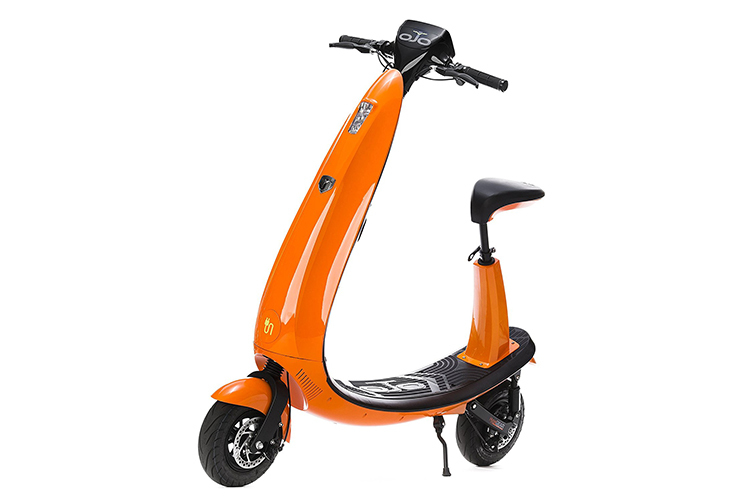 The OjO Commuter Electric Scooter features a removable seat system that quickly converts to a stand up type. 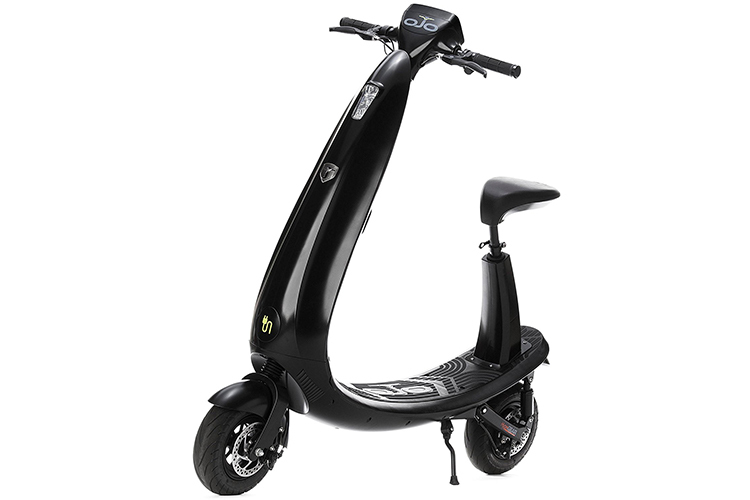 It comes with state-of-the-art LED lights, as well as high performance front and rear disc brakes.